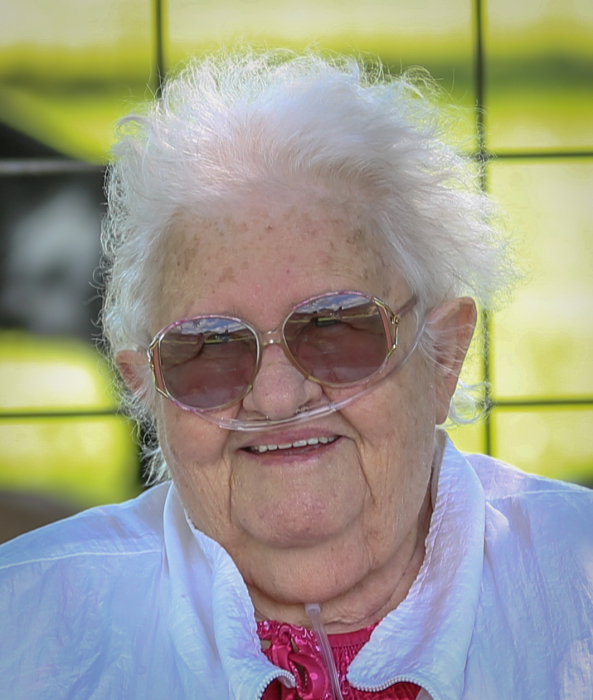 Obituary for Mrs. Betsy Ann (Rhea) Brock | Hinchliff-Pearson-West, Inc.
Betsy Ann Brock, 84 formerly of rural Abingdon, passed away at 2:58 a.m. Tuesday, April 2, 2019 at the Knox County Nursing Home in Knoxville. She was born June 28, 1934 in Dallas City, Illinois, the daughter of James M. and Lucille M. (Lyttaker) Rhea. She married Mack West on August 25, 1952 in Dallas City and he preceded her in death in 1956. She later married Joe M. Brock on July 19, 1956 in Dallas City. He preceded her in death December 28, 2010. Betsy is survived by four sons, Harold (and ex-wife Koreena) Rhea of Galesburg, Joseph West of Indianapolis, Indiana, Marvin Brock and Lee Brock, both of Galesburg; two daughters, Joan West (and Lawrence) Mabry of Galesburg and Jenny Brock (and Hank) Byrd of Sylvester, Georgia; 13 grandchildren, 25 great-grandchildren and 2 great-great-grandchildren; one half-brother, Alec (and Tina) Rhea of West Burlington, Iowa; and one half-sister, Alice Rhea (and Ray) Lawson of Kahoka, Missouri; two brothers-in-law, Harvey Brock of Moline and Bill Brock of Texas; and two sisters-in-law, Roberta (and George) West and Frances (and Don) Thurman all of Abingdon. She was also preceded in death by two brothers-in-law, Cecil and Burt Brock and her best friend, Martha Welsh. Betsy was known to many as “Boots”, her childhood nick-name and Joe always called her “Bets”. She lived in Abingdon most of her life. She moved to Galesburg after Joe passed away so that she was closer to her son Harold, since he was her primary caregiver and driver after she chose to give up driving. She resided at the nursing home the past two years. She worked several years at the Abingdon Nursing Home as a CNA and was a homemaker. She also took care of her grandmother, Cleva Lyttaker for many years until her passing. Her hobbies included working puzzles, playing Bingo and she loved to go to the river boats and to Las Vegas. Graveside service will be at 11:30 a.m. Saturday, April 6, 2019 at the Cherry Grove Cemetery near Abingdon. Visitation will be from 10:00 am to 11:00 am Saturday at the Hinchliff-Pearson-West Funeral Directors and Cremation Services Abingdon Chapel.